Workplace accidents can occur in any field. Although workplace accidents near Atlanta are typically associated with high-risk fields such as construction or law enforcement, even office workers may sustain serious injuries while on the job. Fortunately, workers do not necessarily have to pay their medical expenses out-of-pocket, nor will they necessarily lose all of their wages during their recovery. Most employers are required to have workers’ compensation insurance, which covers medical expenses and a portion of lost wages due to a qualifying workplace injury. 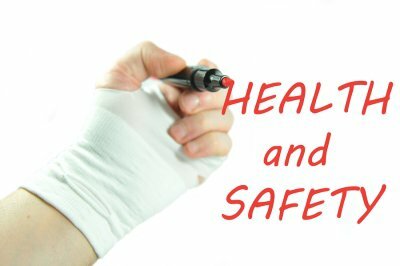 Immediately after sustaining a workplace injury, you will need to follow your company’s reporting procedures. These should be outlined in an employee manual or posted in a conspicuous place such as the breakroom. If you are unsure of how to report the accident, talk to your supervisor and then visit your HR department. Your HR representative will advise you of whether you need to see a medical provider within a certain insurance network. Or, you may be directed to go to a medical examiner who is certified to conduct an independent medical exam. If you delay seeking medical care, it may be more difficult to get your workers’ compensation claim approved. Your company’s HR department can provide you with the forms you need to file a workers’ compensation claim. If you have any trouble filling out the paperwork, you might consider enlisting the help of a workers’ compensation attorney. It’s important to fill out all the required fields to avoid unnecessary delays in processing your claim. While you are awaiting the approval of your claim, you should carefully follow the doctor’s discharge instructions. Failure to do so may jeopardize your right to compensation. It may also delay your healing. Keep the doctor apprised of any changes in your health status, such as new or worsening symptoms. Follow up with any specialists you may have been referred to. If your workers’ compensation claim has been rejected or partially denied, you can contact an experienced attorney for assistance in filing an appeal. This is particularly advisable if you have been diagnosed with a permanent partial or total disability.